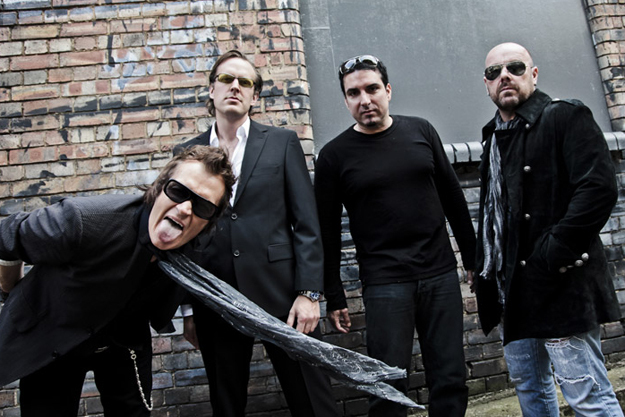 BLACK COUNTRY COMMUNION released its third album, “Afterglow”, last October amid a public feud between Hughes and Bonamassa. The war of words goes back to early September, when Hughes began telling journalists that Bonamassa‘s solo touring schedule was preventing BLACK COUNTRY COMMUNION from touring and fulfilling its potential. He stated that if the situation didn’t change, “Afterglow” could be the group’s last recording project. Asked about the current status of BLACK COUNTRY COMMUNION,Bonamassa told PremierGuitar.com earlier this month: “As far as I’m concerned, my involvement is pretty much done, and I’ll tell you why: Originally, I did it for the same reasons I did the stuff with Beth Hart and ROCK CANDY FUNK PARTY — it was an excuse to play a different kind of music that I don’t get to play normally. “Afterglow” sold 8,500 copies in the United States in its first week of release to debut at position No. 48 on The Billboard 200 chart. 2011′s “2″ CD from BLACK COUNTRY COMMUNION opened with 8,000 units to land at No. 71. BLACK COUNTRY COMMUNION‘s self-titled debut album registered a first-week tally of 7,100 copies to enter the chart at No. 54.